This article is way long overdue. So sorry! but since I’m an active traveler again now, it seems that I have to continue this AdventureNotes series. Anyway, for this session, I’ll write about Rome! Who doesn’t know and doesn’t want to visit this city? It has its own unique charm and to be honest, you’d want to visit this city again and again, strolling at its small alleys. So, I’ve been in Rome twice now. The first one was when I did my solo Euro trip and the second was when I did a Euro tour with my family. This article will be based on the recollection of my memory from both trips. People coming to Rome by plane will most probably arrive in Leonardo Da Vinci Airport. I took a train from the airport to get to the city center, Roma Termini Station. The journey was short and pleasant. However, when I stepped my foot on Roma Termini, it was very crowded; lots of travelers, lots of beggars, lots of officers, and lots of sellers. I was shocked and therefore tried to find a quiet place to think. I needed to adapt before finding my way around. I had a quite interesting experience in Rome because I was lost for a while! It was kind of funny actually because I tried to find my hotel at that time. The hotel was supposedly not too far from the station. I walked around and around, asked people but still couldn’t manage to find it. It was difficult to find it because there was not too many people who can speak English in that area. After a long 2-hours search, finally I could enter my room! The owner responded to my email and came get me. It turns out that there was no sign of the hotel and actually I walked pass that hotel several times without noticing. The first time around, I tried to use the Hop On Hop Off (HOHO) bus to get around Rome. I purchased the ticket online for a 24 hour pass. During my time there, I found out that the HOHO bus was not that available. One time I had to wait for 30 minutes until the bus arrive. Additionally, the traffic in Rome was just not good. I thought that it might be faster to walk! Seriously. I think the better option to get around Rome is by public transportation. Almost all of the attractions in Rome are reachable by many different means of public transportation, such as bus and metro. It was much quicker and cheaper. On my second visit to Rome, I bought a one-day travel card that I can use to get on all public transportation in Rome. It costed like a quarter of what I paid for the HOHO bus and I managed to see more Rome tourist attractions! From both visits to Rome, I managed to enter some places, such as Colloseum, Roman Forum, and St. Peter’s Basilica. 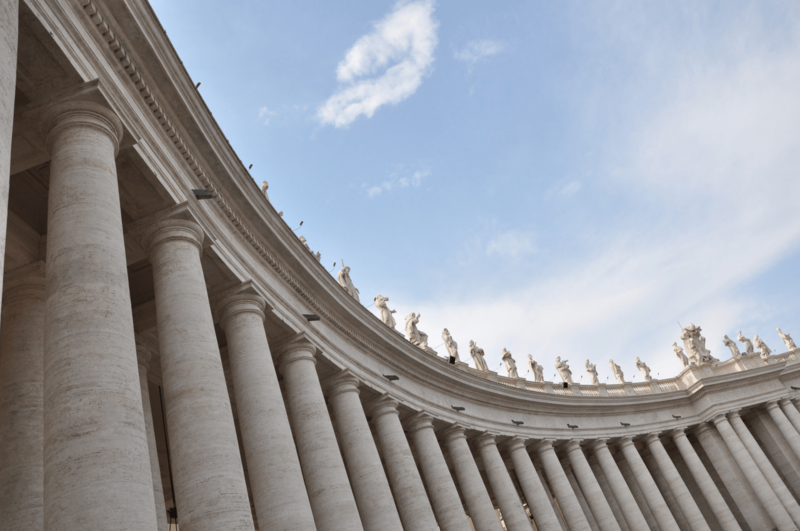 I had to buy tickets for the Colloseum and Roman Forum, but the entrance was free for the St. Peter’s Basilica. Rome is such a popular tourist destination so that to enter the attractions, we would be most likely have to queue, sometimes for a long time. Therefore, actually during the online ticket purchase, there is an exact time allocation for us to visit. However, it seems that the system did not work because I could enter Colloseum and the Roman Forum one day later than the appointed schedule on my ticket. All attractions mentioned above were worth to visit, besides they are legendary! 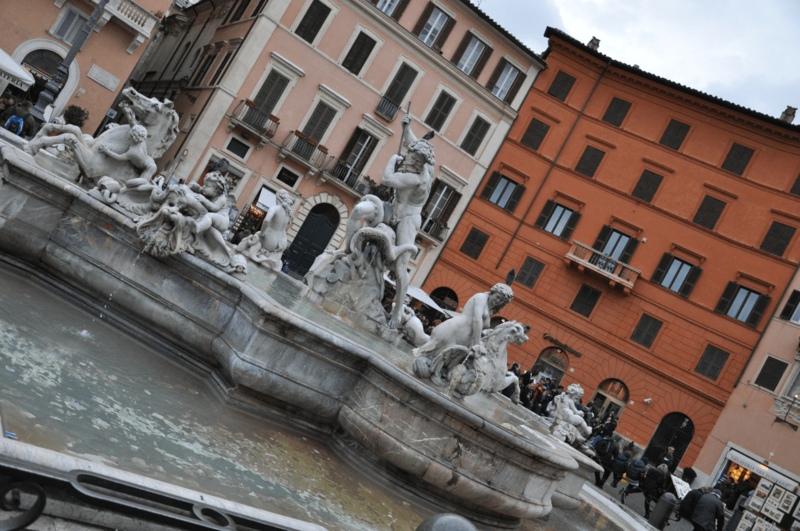 Besides those attractions, Rome is also famous for its outdoor attractions, such as Piazza and the Trevi Fountain. I went to Trevi Fountain, Piazza Navona, Spanish Steps, and Piazza Venezia on both of my trips. I love the environment in those neighborhoods. Some of those places are quite close to each other so that I could just walk. It was really nice actually comparing to taking a bus or metro because I could explore the small and charming alleys near those places. I even passed the Pantheon on my way from the Trevi Fountain to Piazza Navona. There are still many attractions in Rome that I haven’t visited. I wished I could visit the city again, longer the next time around. Surely one or two days are not enough to explore this city. Now, for the tips of visiting Rome! 1. Be ready with your Google Maps to find your way around because not too many people can speak English. 2. Buy the daily or weekly travel tickets. The attractions are easily reachable by public transportation. It is safe, even if you travel alone. 3. Beware of the weather. Rome can get very hot during the summer. The weather gap between this city and other cities in Europe during spring is also noticeable. Get hydrated! 4. Stay alert, especially in crowded place because there are quite a lot of beggars and strangers who may try to steal. Moreover, the city is packed during the summer months, it can get super crowded. 5. Try the gelatto and icy drinks! They are good. Regarding the foods, for Muslims who have to eat halal food, there is this restaurant really near to the Roma Termini station that sells halal and very yummy and delicious foods. 6. Purchase your tickets online. 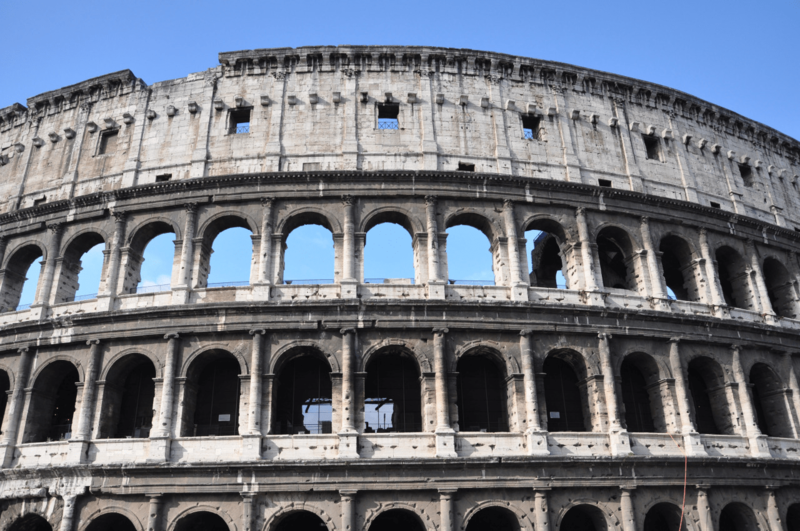 Sometimes they offer discounted price tickets or Rome pass that could get you into many different attractions in cheaper cost. Let’s go and travel to Rome!